It’s summer, and a great season for garlic scapes. 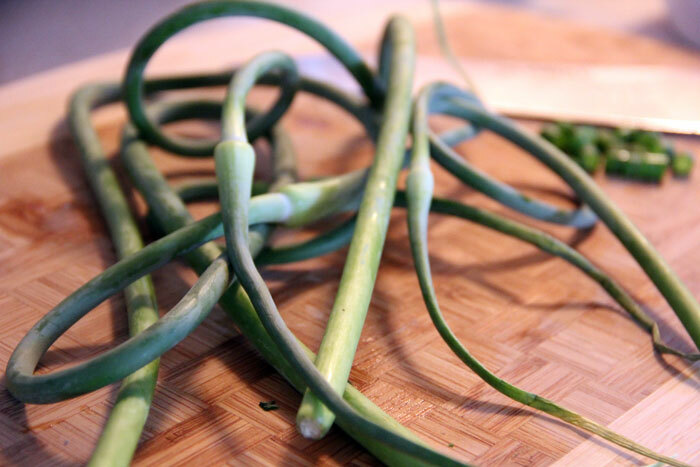 Garlic scapes, also called green garlic, are the flowering tops of “hard-neck” garlic (the Rocombole variety of garlic, in case you’re interested). 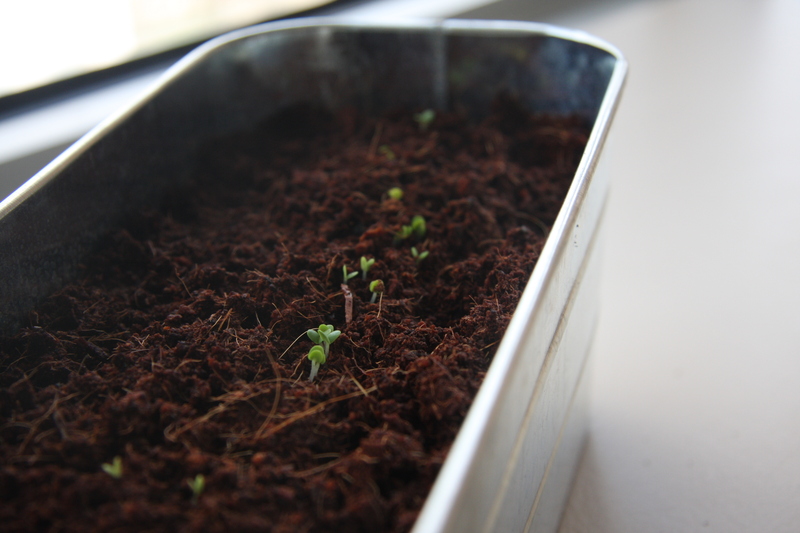 They don’t flower, but end up forming smaller bulbils that will grow more garlic, if you plant them. A lot of gardeners cut them off though, because the stalks keep the garlic from growing larger, plumper bulbs – the part we’re most familiar with eating – and take several years to really get to the point of a large enough bulb to eat. Lucky for us though, because they’re delicious. Depending on how long they’ve been left on the stalk, garlic scapes can be very tender (if cut early) or a little harder and stronger in flavour (if cut later). You know how long the stalks were left on the garlic by how curly they are. The curlier they are, the longer they were left on the stalk. The taste is still very garlicky, but slightly “greener” in flavour. A delicious addition to soups, salads, pasta, risotto, and basically anything you’d normally put garlic or scallions in. You are most likely to find scapes from a local grower or grocer that carries local seasonal produce. They also last in the fridge for a long time and a little goes a long way.